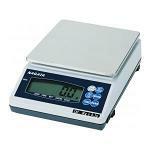 This scale is perfect for use at meets where you want an accurate scale that will weigh up to the largest implements. Scale is accurate to 0.1 ounce and has a 55 lb. capacity. 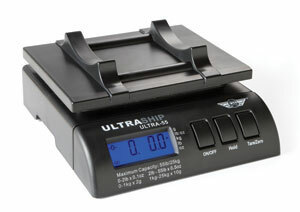 Easy read digital scale is powered by 4 "C" cell batteries (not included). Detachable faceplate, too many functions to list. Reads in english and metric. Very happy with this purchase. Accurate weights and easy to use.